Fargo's Blog: Midsummer's Eve Lunacy! 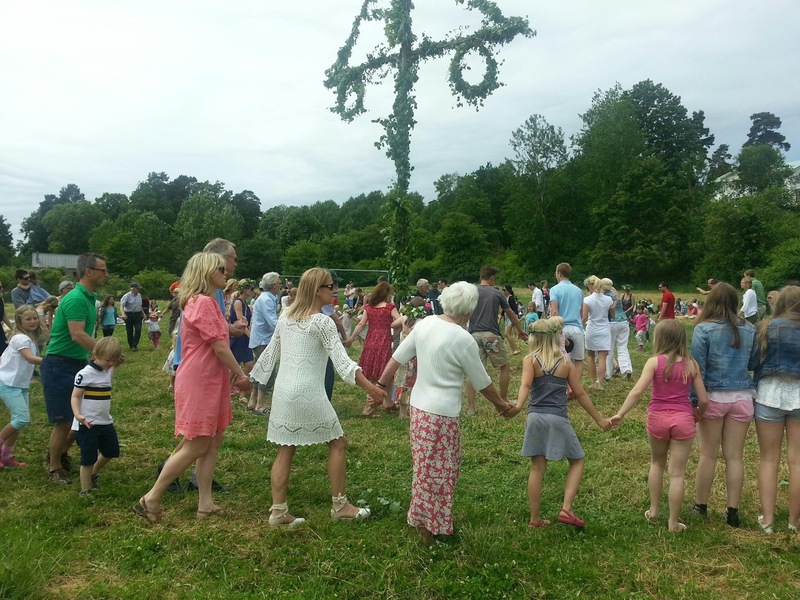 Every summer solstice in Sweden they pay homage to an ancient pagan tradition and have massive celebrations. This is no exaggeration. On midsummer eve and day it is akin to Christmas. Businesses close early on midsummer eve and celebrations carry on from morning and in some instances into the following morning. It is worth seeing. Essentially a festival for the sun god (as good as any I suppose). People dance around a fairly phallic pole and sing songs. Many people wear special floral wreaths and occasionally a traditional costume. As with many celebrations in the western world, it frequently involves a substantial consumption of alcohol. If you have a chance to visit Sweden to experience it, I suspect you will find it quite charming. Even better for those without a local contact would be to reach out through virtualtourist.com or coachsurfing.com and see if you can wrangle an invite to an actual midsummer party.